Fashion, lifestyle, media world – Japan is ahead of time. Whatever is going to develop, Tokyo already has it. Japanese products are also in great demand around the world. The Far Eastern blend of harmony, minimalism and function combined with convincing quality leads to a magic formula of a great number of popular lifestyle products. 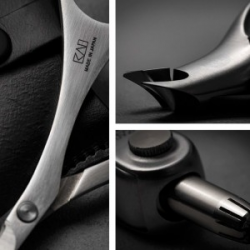 KAI products have long had cult status in Japan with an unmistakable degree of recognition. Founded in Seki in 1908, the company has for 100 years developed and sold cutlery and related products of excellent sharpness and function. On the European market, the high-quality products are currently found in different focal points. 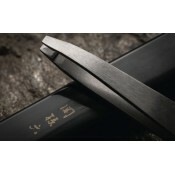 The common denominator quality and perfection is based on the centuries-old tradition and culture of the Japanese Samurai sword smithy. 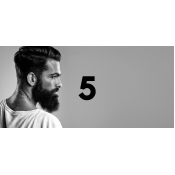 For everyone who values a well-groomed appearance, KAI offers proven high-quality Beauty Care devices for daily body care. Six different series have been developed to the highest standards of function and design that are comfortable and safe to handle and impress with their noble and simple shapes. This concept is embodied by Jorge González, who now endorses our products. Razor, stainless steel, plastic (18 x 168 mm)Cut right to the chase The KAI Captain Razor is a pr..
Cut right to the chase The KAI Captain Razor is a professional precision instrument suitable for .. Beard Scissors. Stainless steel with comb (51 x 137 mm)..
Nail clippers: stainless steel, plastic incl. 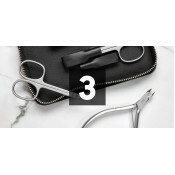 nail file and nail catcher (Small, 15 x 73 mm)..
Nail Scissors. 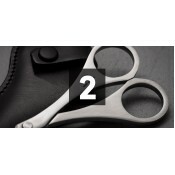 Stainless steel, brushed in extra thin design 4 mm (49 x 101 mm)..
Eyebrow scissors. Stainless steel (43 x 91 mm).. 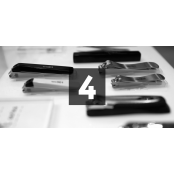 Stainless steel, brushed in extra thin design 4 mm with integrated nail file (13 x 59 mm)..
Razor blades: Stainless steel with blade dispenser, content 20 pcs. (8 x 50 mm)Spare blades Titan co..
Straight tweezers. Stainless steel, brushed with precisely adjusted top (9 x 95 mm).. 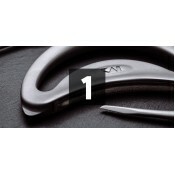 Stainless steel, plastic with integrated nail file (24 x 88 mm)..